I recently bought a friend of mine this for her birthday! She loves to be creative in the kitchen and had recently started making her own popsicles so I thought it would be the perfect gift. Before purchasing it I flipped through it to make sure it would be well liked and was instantly hooked. 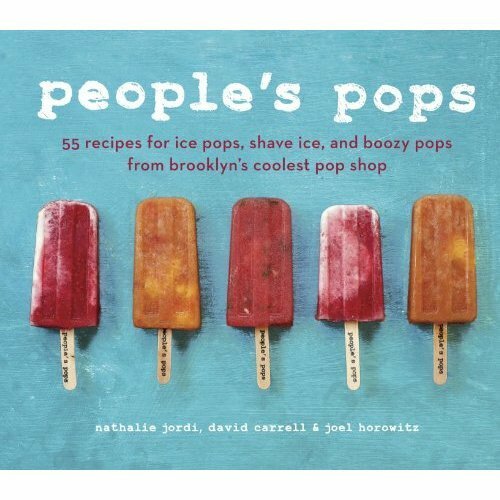 Each page displayed a different delicious looking popsicle with flavour combinations that made my mouth water! Their concept is really simple: Local, fresh and in season and they let their creativity and imagination do the rest. Anything can be turned into a delicious and refreshing popsicle, and every season reveals a new flavour combination to try! I knew right then that I was not only going to have to buy my own copy, but on my next trip to NYC I would have to taste one for myself. This past weekend during my short visit to New York City I got my chance! We went to their shop in Chelsea Market where they had a few flavours to choose from, many of which included strawberries. I steered clear and went for something I had never tried before. 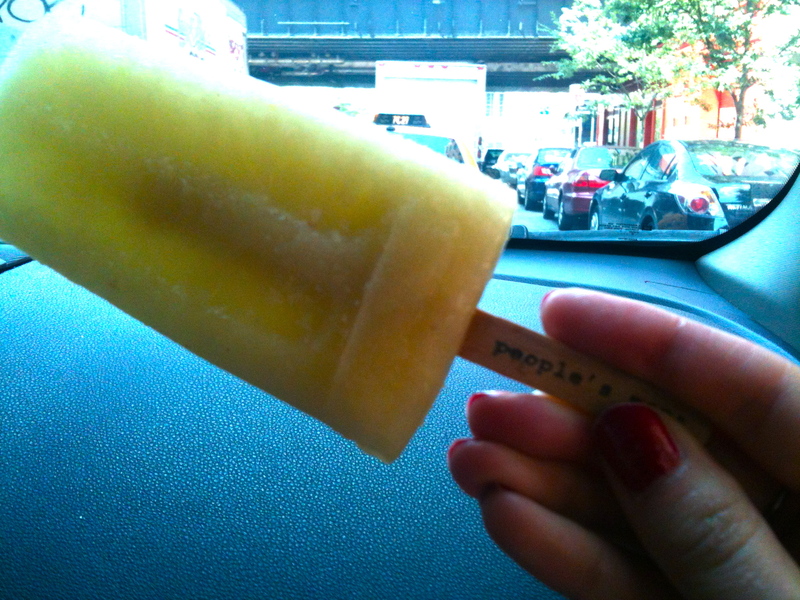 It was a Canary Melon and Jasmin Popsicle. It had a bright sweet melon flavour with a hint of jasmin and was very refreshing and extremely delicious. This entry was posted in Food & Drink, Inspiration and tagged cookbook, easy, homemade, manhattan, NYC, people's pops, recipes. Bookmark the permalink. makes my mouth water !